For years, smartphone manufacturers like Samsung and Lenovo have been promising phones with flexible displays screens – something tech enthusiasts speculate will provide more screen real estate and multi-tasking capabilities. 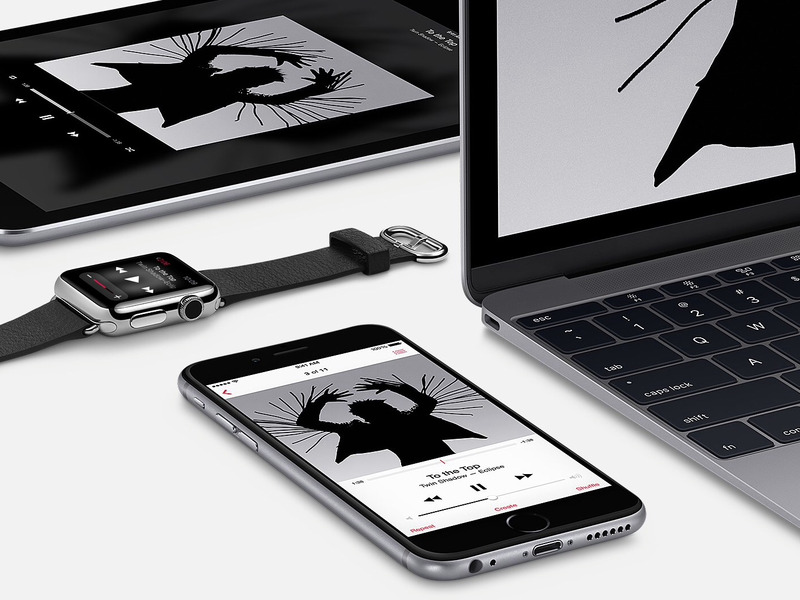 Patents released by Apple in the last couple of years show that it might be joining the race. We don’t know a lot about these foldable smartphones, as it’s still very early on and Apple is a famously secretive company when it comes to upcoming products. That said, rumours, patents, and the current available technologies might provide a broad idea of what Apple might release in the not-too-distant future. 1. 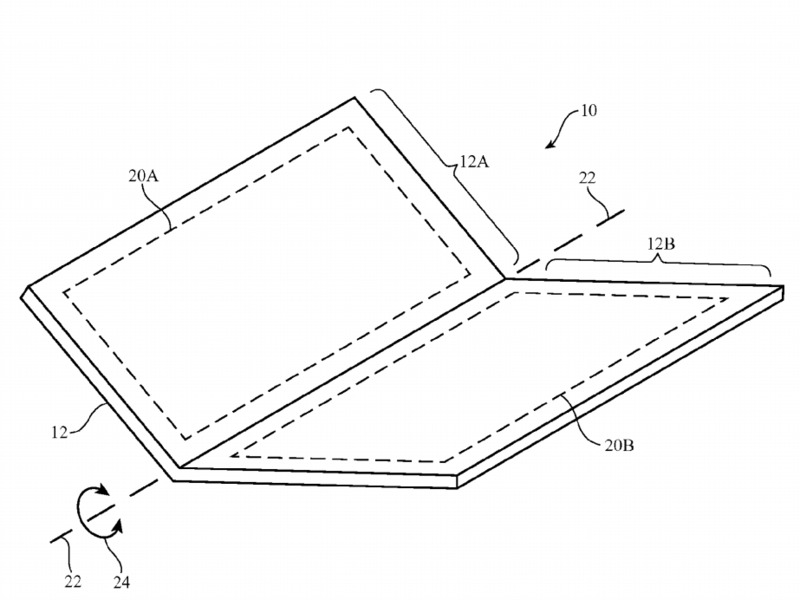 Patents show a foldable iPhone concept with single bendable screen, rather than two different screens attached by a hinge. 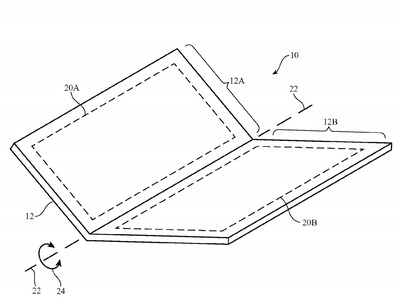 An Apple patent from 2016 shows a foldable iPhone with a single screen that could bend, similar to the way Samsung’s Galaxy X is rumoured to. ZTE’s Axon M, marketed as the first foldable smartphone, has two different screens that come together to make a unified display. One mode would let the user to open and close the phone like a book, and a second mode, for stationary use, would open the way a notepad does. In the latter scenario, one half of the phone could be used to prop up the other half of the phone, so you could view its display on a flat table. 3. It could have an OLED screen, similar to the one found on the iPhone X. All of Apple’s phones before the iPhone X series had LCD screens, which rely on a backlight and have minimal flexibility. 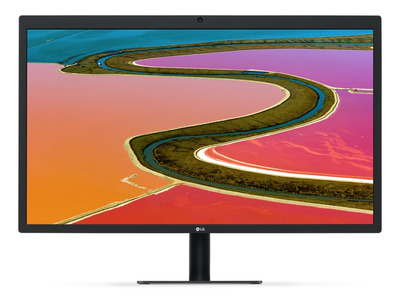 OLED screens, on the other hand, have some bend to them since the pixels work independently and don’t rely on a light source (giving it that thinner look). 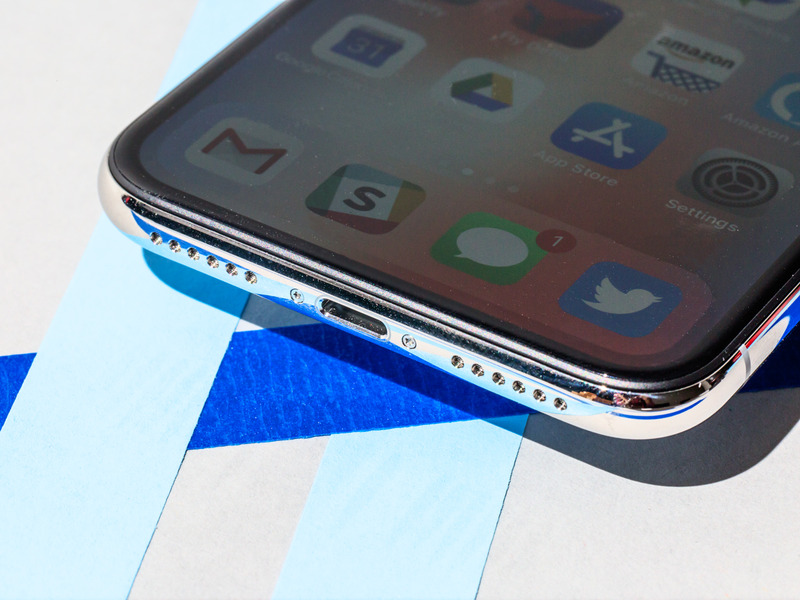 The iPhone X’s screen is technically flexible – it curves at the edges to create a slimmer bezel. AMOLED, a type of OLED screen with a faster refresh, is what Samsung is reportedly working with, so that could be the direction Apple goes as well. 4. Apple could be teaming up with LG to make it. Apple has worked with LG before: The Korean company’s UltraFine 5K Display is one of the few non-Apple products you can buy in Apple stores, and LG was responsible for Apple’s LCD screens before Apple turned to Samsung for the OLED ones. LG was also rumoured to be working on a foldable phone that could expand into a tablet. A Korean media outlet reported that Apple and LG were working together on this new project, but the outlet’s sources were anonymous. It would make sense, though, since there are only two manufacturers who currently make flexible AMOLED screens, and the other one is Samsung – a company that’s been working on its prototype since 2010. 5. It would look very sleek. 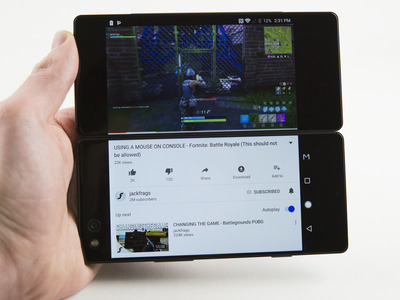 Some assume that a foldable phone would be bulkier than current modern smartphones, since it would be two layers of screens and components instead of one. There are also fears that the crease will either wear over time, or be so durable that it affects the look and feel of the product. Still, this is an Apple product at the end of the day. And whatever Apple would land on for the final design, it is unlikely to compromise on looks. 6. We’re at least two years out from having it in our hands. “Our checks also suggest that Apple is working with suppliers on a foldable phone (that potentially could double up as a tablet) for launch in 2020,” Merrill Lynch analyst Wamsi Mohan said in a report according to CNBC. Apple might already be in talks with suppliers, but analysts are expecting Apple’s foldable smartphone to come out at least two years after Samsung’s, since demand could bottleneck production. Samsung itself has yet to complete its prototype, and could even test it in smaller areas before releasing a final product to the general population, so we’re probably still a few years out… but don’t lose hope. With every year of hype, it seems as though pressure is increasing on manufacturers, and with it, the likelihood of a foldable smartphone.